The car park at Hebden Bridge Railway Station is set to be extended to encourage more commuters to take the train. A report outlining the plans has been approved by the Investment Committee of the West Yorkshire Combined Authority (WYCA). The proposals would create 46 new spaces, at ground level, to the east of the existing station car park. Calderdale Council is working with Network Rail, which owns the land, to develop the scheme. Construction is likely to begin later this year and it is anticipated that the work will be completed by spring 2018. There has been a rapid increase in the number of people commuting by train in recent years. Between 1998 and 2011, the number of rail passengers in Yorkshire grew by 65 per cent and growth is expected to continue with a 37 per cent increase by 2027. A survey of car park use by West Yorkshire Combined Authority from 2013-2016 showed that station car parks across West Yorkshire are often full, particularly at peak times. Others in the Calder Valley are at Todmorden and Mytholmroyd. By 9am 48 per cent of rail station car parks were 100 per cent occupied and 86 per cent were at more than 90 per cent of their capacity. Calderdale Council’s Cabinet member for Regeneration and Economic Development, Coun Barry Collins said using rail to travel around the district to cut road congestion and associated health issues was being promoted by the council and this news was tro be welcomed. “Hebden Bridge’s station car park is in great demand, particularly amongst commuters, so I’m really pleased this project is going ahead. “Catching the train to work supports our ‘Active Calderdale’ good-health agenda by reducing road congestion and thereby improving air quality,” said Coun Collins. 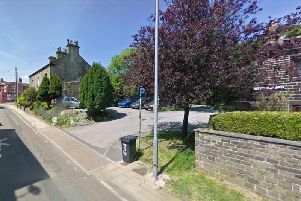 The expansion of the car park in Hebden Bridge is part of a wider £32 million package of rail station car park improvements all across the West Yorkshire region being developed by the West Yorkshire Combined Authority.